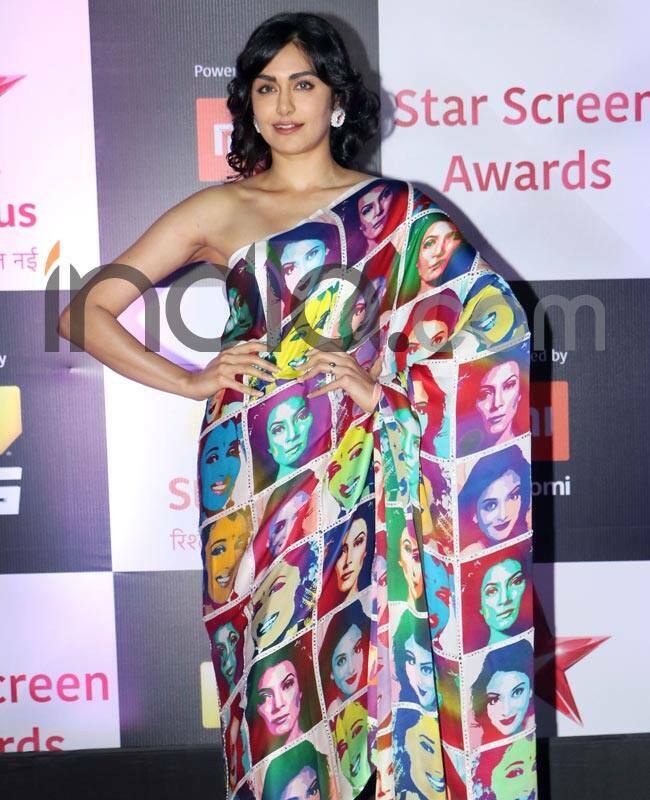 The last evening saw many Bollywood actresses walking the red carpet at Star Screen Awards 2018. While Deepika Padukone stunned in black with Ranveer Singh, Katrina’s sheer gown spread wonders. Jacqueline Fernandez, Alia Bhatt, Urmila Matondkar, Mouni Roy, Rekha, Shraddha Kapoor, Diana Penty, and Adah Sharma among others also dressed up to the T for the event. Subdued colours, shades of white and a lot of sparkles ruled the night with actresses putting their best foot forward in looking absolutely amazing at the red carpet. For Mouni, it was a white voluminous gown from Lebanese designer Robert Abi Nader. With no heavy jewellery and dewy makeup, the actress’ styling was on point. However, the choice of the gown itself was a downer. The plunging neckline added to the disappointment. Mouni has done better in the past. Adah Khan went for a statement saree look at the event. Adah wore a fusion saree, designed by Satya Paul. It had the face of Madhuri Dixit, Sushmita Sen, and Aishwarya Rai Bachchan printed on it and that’s what made it stand out. Adah further added a pair of white tights and white blouse to wear with the saree, something that let the saree take the entire limelight. Her’s was definitely one of the best looks of the night.